There’s a tangible sense of anticipation aboard the dhurney as Chas, our local tour leader, distributes baby shampoo ‘spit’ to stop our masks fogging and we wriggle our feet into our fins. Whilst we were eating sun-ripened baby bananas from the branch strung at the back of our cruise vessel, the Ari Queen, and drinking our early morning teas and coffees, the ever-vigilant crew have spotted Manta Rays in the glistening Indian Ocean and now we are going to try to find them and, hopefully, swim with them. Chas briefs us carefully. If we are lucky enough to find these magnificent animals, we must slip as quietly as possible into the bath-warm sea, not chase the Mantas but respect them in their environment and remain as composed as our mounting excitement will allow. I am very grateful to Philippa Cotton at Penguin Random House for providing an Advanced Reader Copy of ‘Beyond the Sea’ which is published by Arrow on 16th July 2015. Following the tragic death in a boating accident of her son Sam and husband Jack, Freya is struggling to cope with her grief. She goes back to the lighthouse-keeper’s cottage where the family had been happy together to seek some kind of peace. However, recovering from tragedy is not a straight forward path. I thoroughly enjoyed ‘Beyond the Sea’. It is a quick (but by no means superficial), engaging and absorbing read. From the menacing portents of the prologue, the uneasy undercurrent persists throughout, making the reader’s pulse increase and drawing them into the story. This is a subtle effect and works extremely well. There is a satisfying rhythm to the writing.The writing itself is often lyrical and poetic and descriptions bring the text to vibrant life. ‘Beyond the Sea’ has a Russian-doll-like structure with oral history, letters, a diary, fable and the events surrounding Freya all building the narrative and intertwining so that, along with Freya, the reader isn’t always sure what is real and what is imagination. Melissa Bailey has a highly intelligent approach, mixing well researched mythology with narrative to create a really entertaining story. The characters are real people with whom the reader can engage, but I think it is the sea that is the most vivid and important character in the book. I was utterly captivated by the descriptions of the sea’s moods and power. I am slightly in awe of the sea anyway and Melissa Bailey’s writing has compounded my sense of unease at what lurks beneath the surface. 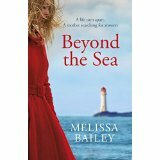 ‘Beyond the Sea’ is a really good read and I will be reading Melissa Bailey’s first novel. ‘The Medici Mirror’ too as soon as I can. 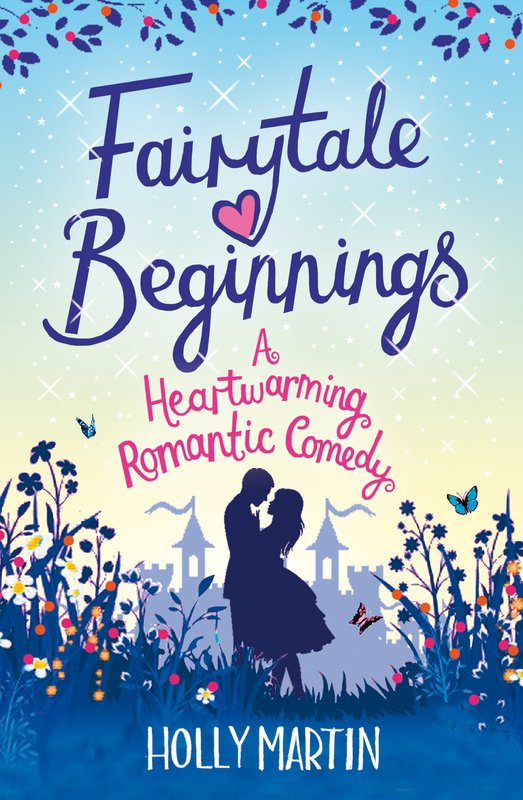 I’m hugely excited to be able to share with you the first chapter of ‘Fairytale Beginnings’ by Holly Martin. Its only 99p for the next few days! ‘Bride Without A Groom’ is available now as an eBook and in paperback from 16th July. I am very grateful to Amy Lynch for providing me with a review copy. Rebecca Browne has pretty much everything organised for her wedding to Barry. She’s chosen the dress, booked the honeymoon and knows exactly how the day will go. Unfortunately, Barry hasn’t proposed yet and doesn’t look as if he will any time soon. 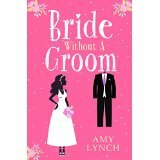 ‘Bride Without A Groom’ is a highly entertaining summer read. Amy Lynch manages to capture the irritating Rebecca perfectly so that the reader becomes as frustrated with her as does Barry. Self centred, immature and spoilt, Rebecca needs to grow up and realise others have feelings and opinions too. She does, however, have redeeming features and the way in which Amy Lynch has created almost a dialogue with the reader so that Rebecca speaks to them directly, enables them to forgive her maddening behaviour and to sypathise with her when life doesn’t treat her as she wants. I found I shared many of her opinions – especially those regarding other people’s children – and she certainly made me smile. There are comic moments throughout and although I thought a couple of scenes could have been omitted, I really enjoyed this book. The supporting characters like Rebecca’s boss and her Mum are well developed and convincing. I liked the way in which the madness of Rebecca’s first person narrative was tempered by Barry’s third person accounts so that there is light and shade in the story. I think ‘Bride Without a Groom’ will appeal to anyone wanting a happy summer read that will entertain them thoroughly. 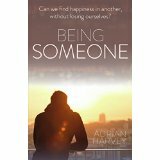 I am hugely indebted to Matthew Smith of Urbane Publications for providing a review copy of ‘Being Someone’ by Adrian Harvey. It can be purchased direct from the publisher here https://urbanepublications.com/books/being-someone/ and all good bookshops. Adrian Harvey features as one of W H Smith’s Fresh Talent writers. James is drifting through life with little thought or direction. 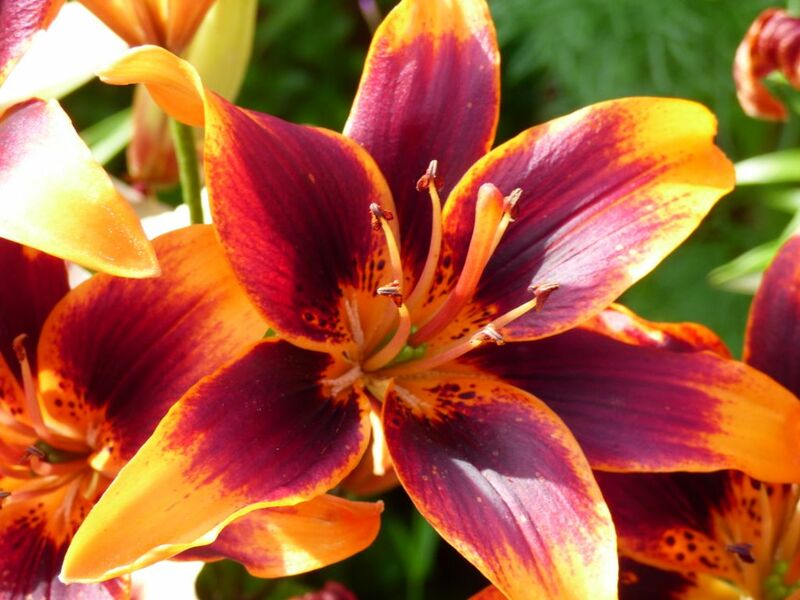 Not particularly good at his job and without a life partner there is little of real interest for him until he meets Lainey – a woman of beauty and confidence – who gives him some substance and a reason for existing. ‘Being Someone’ is a love story, but it is so much more. Starting with a death in the opening paragraph I wondered the direction the narrative would take and it is not until the last few pages of the novel that all the threads are pulled together and the symbolism is clear. The reader needs the twists and turns in James’ life fully to appreciate the significance of an opening story set in India. This is master storytelling as the parallels between James and Annayya are revealed. Adrian Harvey writes with skill and intelligence, creating a sense of place absolutely clearly, whether it is London, New York or India being described. His attention to detail is stunning. However, Harvey’s greatest skill is in creating the character of James. Because I read so many books authored by women, or featuring them as protagonists, having a male perspective on relationships and life was both interesting and compelling. James is a flawed, complex personality with almost a built in self-destruct button. Having finished the novel, I’m still not clear if I have sympathy or empathy for James – if I want to hold him or punch him. ‘Being Someone’ is erudite, literary and beautifully crafted. It is also accessible and a thorough pleaasure to read. James’ attempts at being someone will resonate with all who read the book. 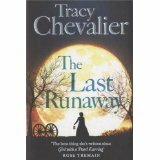 Having thoroughly enjoyed ‘Remarkable Creatures’ by Tracy Chevalier I was pleased that ‘The Last Runaway’ was chosen for my U3A reading group for July. I was not disappointed. In the mid 1850s, Quaker Honor Bright sets out for America with her sister Grace who is to be married to Adam Cox, a pioneer already in Ohio. Having been jilted, Honor is looking forward to a new life, but on arrival in America, events don’t go according to plan. I loved this book. Firstly, there is a well crafted plot that leads the reader through Honor’s trials and successes and culminates in a somewhat surprising but perfectly wrought ending. The third person narrative about Honor is underpinned by first person letters, usually though not always written by her, so that there is real pace and variety to the story. Secondly, the characters are distinct and clearly depicted. I have to confess to preferring the villain Donovan amongst the men. Each person is given an identity so complete as to make them human and realistic for the reader. I found I was thinking about them when I wasn’t reading the book. The theme of slavery in America is sympathetically explored without preaching to the reader, thereby conveying its message all the more eloquently. The attention to historical detail is wonderful, being precise and accessible through the narrative. Having studied slavery and emancipation in the USA at university, I thought Tracy Chevalier captured the era perfectly, managing to be both moving and historically accurate at the same time. The quality of writing is quite lyrical. The descriptions of a latter day mindfulness, the seasons and nature, and the colours and fabrics in the quilting build a vibrant and vivid visual image so that the reader can see the settings in their mind’s eye. I would thoroughly recommend Tracy Chevalier’s ‘The Last Runaway’ to those who enjoy a good story, but like their fiction based intelligently in fact. I loved it. ‘The Last Runaway’ was published by Harper in August 2013. 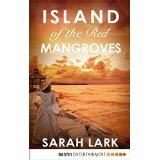 I’m thrilled to be able to host a question and answer session with Sarah Lark about her latest book ‘Island of the Red Mangroves’. Sarah kindly answered some questions about her writing below, but first, let’s find out a bit more about her and her books. Sarah Lark is an international bestselling author, famed for her captivating historical sagas with sales of 2.7 million in Germany alone. Her books ‘In The Land of the Long White Cloud’, ‘Song of the Spirits’ and ‘Call of the Kiwi’ have already been published in the UK and the first in the Caribbean saga ‘Island of a Thousand Springs’ was published last year. A captivating tale of love and hate, violence and kindness, family and romance, ‘Island of the Red Mangroves’ is the second book in the Caribbean saga. It is published 23rd July by Bastei Entertainment, price £3.99 in eBook. Jamaica 1753. Doug and Nora Fortnam have raised Nora’s illegitimate, mixed-race daughter Deirdre, born from violence, but who has grown up to be a beautiful and headstrong young woman. Despite her past, the stunning Deirdre attracts men wherever she goes, but has turned them all away, finding them wanting. However, when she meets the handsome and kind Dr. Victor Dufresne, who sees beyond her history and heritage, they fall in love and marry, moving to Victor’s modest house in Hispaniola. In Grand Cayman, Jefe, a young free black man, and Bonnie, an escaped slave, leave home on a pirate ship in search of wealth, freedom and power, renaming themselves Caesar and Bobbie. When Bonnie is injured in battle, she relies on Jefe to find a doctor to save her – without revealing that she is a woman. Their worlds collide when Victor treats Bonnie for her injuries, reluctantly allowing the two black pirates into his home. Deirdre however feels an irresistible and mutual attraction to Jefe, which she finds she cannot fight. Hi Sarah. Thank you so much for agreeing to answer some questions on my blog as part of your tour for your new book ‘Island of the Red Mangroves’. I am Sarah Lark, but my real name is Christiane Gohl – normally I’m called Christina or Chris. My job is to write landscape-novels, but I also love to work with horses. I live in Spain on a farm with a lot of animals – I look after abandoned and mistreated horses but I’ve also got a lot of cats and dogs. Caring for them definitely costs a lot of money, so I am glad that my novels are successful all over the world. 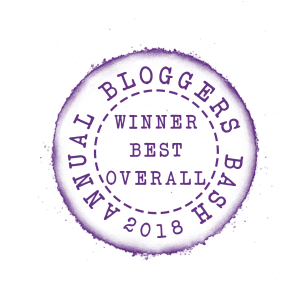 So thanks to all my readers! I always wanted to write, I wrote my first poem before knowing all the letters of the ABC. At school I wrote satiric texts about my teachers and romantic stories – and I told everybody that I would be a professional writer when I’m grown up. At last I studied to be a teacher, but I had not a little bit of talent for the job. So I gave it up and started to work as a texter for a public relations agency. I also wrote for reviews about horses – and that at last helped me to publication! An editor called me and asked me if I could write a riding manual for children. The book was a great success, I was asked to write more, and so I started with fiction and non-fiction for horsy girls, but also non-fiction for adults about looking after horses, breeding them, working with them and so on. I also wrote a biography of Ada Cole, the founder of the ILPH, and I always looked for a publisher for historic novels. The first ones, published under my real name, were not really successful – I was too famous as a ‘horse-expert’. So when we started with landscape-novels we changed my name to ‘Sarah Lark’, and everything went well. If you hadn’t become an author, what would you have done instead? Writing is my only talent. So if I couldn’t write novels I would write commercials or work for reviews. Or write speeches for politicians or anything else. If I need to, I can write whatever anybody asks for. Your novels have a strong historical setting. How do you go about researching historical detail and ensuring your books are realistic? I normally use the internet. I do the most important research before starting the book, and then, while I am writing, I have a second computer with the internet open to answer the questions which appear during the process of writing. The history of slave labor on the plantations in the Caribbean, the living situation of the slave holders and the Maroons of Granny Nanny were as well researched as possible. I also had to read as much as possible about Jamaica and its history, also, naturally all about fashion and etiquette of the 18th century. It was quite exciting and not very difficult. The research only became really complicated by the part of the story which plays out on Hispaniola – now modern day Haiti. The particulars of Haiti’s history aren’t well known – too much political upheaval and too many earthquakes to keep proper documentation. I first write an exposé, so the plot is standing, before I start writing. But then I dive in, and sometimes I change a lot. Normally there aren’t any drafts. I write the story down, read it again to correct it, and then I have some test-readers, who tell me their opinion. I maybe make some changes, and that is it. I’ve never had the thing with the ‘writing blockade’ and I’ve never heard about a really good author who has had these problems. If you have got fantasy, you won’t ever lost it. What are your top tips for writing? 1) You need discipline to write every day, but if you really like writing, it shouldn’t be too difficult. If writing is hard for you and each time you have to force yourself to start – find another profession. 2) Write about things, of which you know something. For example: If you like sailing, but you are afraid of horses, your story should take place on a boat – not in a riding stable. 3) Try to keep your sentences short and write lively dialogues. 4) Always ask yourself: Are my characters acting like authentic living people? Could my story take place or have taken place in reality? 5) Be open to criticism. Find people who tell you their real opinion about your work. If your test-readers will not understand a part of the story, it will be the same with the people who have paid money for the book – and next time, they will spend their money on a different book! I usually write in the afternoon, as in the morning I care for my horses and ride. While I’m out with the horses I think about the book I am actually writing, and how the story will go on. Then, at about three o’clock in the afternoon I switch the computer on, answer my e-mails and after that I start to write. Normally I do ten pages a day, which takes more or less until 8 o’clock. My favourite authors are Stephen King, Marion Zimmer Bradley and F. Paul Wilson. I also like Deaver and Kellerman. My preferred books are the ones I would not like to write myself – that means horror and criminal stories. I love my animals and spend half my day riding, so horse lovers may be interested in the Peruvian Pasos and Paso Finos on Hispaniola that play a small role in this book. Generally I care for the horses in the morning and work on my writing in the afternoon. However, I often think about how a book should develop when I’m on my morning ride. The horses are quite patient with me. Naturally, the dogs are always around me when I’m writing. Your novels have very striking covers with women clearly illustrated as central to the plot. How important is it for you to portray strong women and how are your book covers chosen? I’m not normally involved in creating the book covers. Covers are designed by specialists, working for the publishers. Certainly I’m asked if I agree, and I really like these covers, but I do not create it on my own. It’s defintiely important for me to portray strong women – but I think that is normal for writers of historic novels. The typical woman in the times we are writing about had a terribly boring life. She was married young, was obedient to her husband, had a few children, and she seldom lived long – often she died in childbirth. So for the novels we have to create special, strong personalities, who break this vicious circle. Certainly the story should stay authentic – I hate novels, that show for example medieval woman completely emancipated, fighting for women’s power. My heroines are exceptional women, but they stay daughters of their times. If you could chose to be a character from Island of the Red Mangroves other than Deidre, who would you be and why? Nora is one of my favourite characters. Not only in the Island of the Red Mangroves, but in all my books. Nora is very similar to me: we both are daydreamers, we both were born in the wrong country – Nora was freezing in London all her childhood and I did the same in Germany. So I can identify myself with her very well, and I also like Doug. I can imagine being married to him, living on a tropical island. If ‘Island of the Red Mangroves’ became a film, who would you like to play Deidre? I don’t know. I think I would give the role to a newcomer, a young actress who has read the book and came to the casting because she felt that she was exactly like Deirdre. Thank you so much, Sarah, (or Chris) for your time in answering my questions.